Europe often talks of illegal immigration – some statistics reveal that Greecehas overtaken Italy as the primary point of arrival – thousands arriving from Eritrea, Nigeria, Somalia, Syria, Afghan and elsewhere. A new ranking of the best countries to be an immigrant has placed Sweden in the top spot, closely followed by Canada, Switzerland, Australia and Germany. The United States, a country which was largely founded through mass immigration, came in seventh. Potato ~ the uncrowned monarch that makes ones eating delicious is a starchy, tuberous crop from the perennial nightshade Solanumtuberosum. In the Andes, where the species is indigenous, some other closely related species are cultivated. 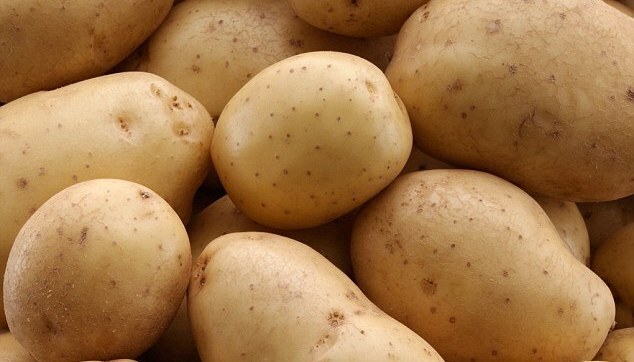 Potatoes were introduced to Europe in the second half of the 16th century by the Spanish. Now potato and chips have become staple food in many parts of the World and integral part of food supply. Today’s Google Doodle features ‘Eva Ekeblad (1724 – 1786), a Swedish agronomist, scientist, Salonist and noble (Countess). Her best known discovery was to make flour and alcohol out of potatoes (1746). She was the first female member of the Royal Swedish Academy of Sciences (1748). Born to a statesman count, she enjoyed riches; in 1740, Eva married at the age of 16 to the riksråd count Claes Claesson Ekeblad, and became the mother of seven children. Upon her marriage, her father gave her the estates Mariedal Castle and Lindholmen Castle, Västergötla and there were to be additions coming from her spouse side too. After the death of her spouse in 1771, she retired to the country side. In later years, Eva Ekebladher stay at the main city made her a celebrity holding several positions at court: as a lady in waiting to the queen, as överhovmästarinna (Mistress of the Robes) in succession to Ulrika Strömfelt, and as royal governess for the crown prince. In 1746, Ekeblad wrote to the Royal Swedish Academy of Sciences on her discoveries of how to make flour and alcohol out of potatoes. Potatoes had been introduced into Sweden in 1658, but until then only cultivated in the greenhouses of the aristocracy. Ekeblad's work turned potatoes into a staple food in Sweden; it also increased the supply of wheat, rye and barley available for making bread, since potatoes could be used instead to make alcohol. This greatly improved the country's eating habits and reduced the frequency of famines. She also discovered a method of bleaching cotton textile and yarn with soap in 1751, and of replacing the dangerous ingredients in cosmetics of the time by using potato flour (1752); she is said to have advertised the plant by using its flowers as hair ornaments. In 1748, Eva Ekeblad became the first woman elected to Royal Swedish Academy of Sciences. The woman described in para 2 of assisting witchcraft victims - Countess Catherine Charlotte De la Gardiewas relative of Eva. Catherine Charlotte de La Gardie, a Swedish noble, introduced smallpox vaccination in Sweden, and stopped the last witch trial in her country.